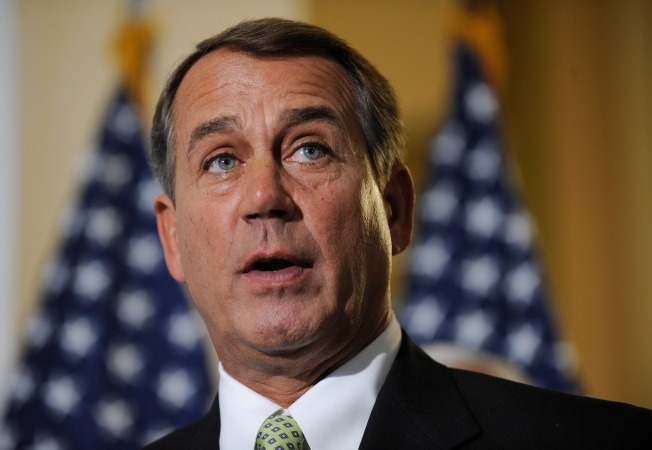 House Republican Leader John Boehner said Republicans are "for more than just cutting taxes." Despite President Obama's trip to the Hill on Tuesday, he couldn't pry loose a single Republican vote for his stimulus plan, which nonetheless passed with overwhelming Democratic support. Still, the partisan split signaled that despite their weakened political state and the popularity of the new president, Republicans won't be won over by charm alone. White HousePress Secretary Robert Gibbs cast the administration's inability to pick up any Republican votes as a reflection of the politics Obama campaigned against — not a repudiation of a president who worked the Republican side of the aisle even harder than he did his own party's side. But Gibbs insisted that the president would get points for his effort, and noted that Obama was still hosting the very House Republican leaders who led the effort against the bill at a cocktail party at the White House Wednesday night. "In all honesty, I think the American people will understand that picture quite clearly," Gibbs said. That picture, he said, was "the unprecedented effort of a newly sworn-in president to reach out, to work with Republicans to get the economy moving." Still, though largely symbolic, the unified opposition underscored the difficulty Obama may have in persuading Republicans to go along with oft-repeated calls for bipartisanship, regardless of how much he woos them. Obama aides didn't have high hopes for Republicans backing the bill—one privately predicted earlier Wednesday they'd get fewer than 10 GOP votes—but they almost certainly didn't anticipate being completely shut out. Gibbs was cautious in his chat, declining to issue any warnings to the GOP minority. But he did express confidence that some Republicans would come around, and that it would be in their political interest to do so. "I don't think this is the final reckoning on this bill by any sense of the imagination. I think the process will work and I think, I don't think people will be able to ignore the human stories of suffering that's going on in the economy right now." He added: "I do believe that there will be people in districts all over the country that will wonder why, when there's a good bill to get the economy moving again, why we still seem to be playing political gotcha." Gibbs declined to say whether he thought they would eventually get Republican votes in the House, but he did predict Obama would have "GOP support in different parts of the Senate." "I think Republicans will want to be part of the solution to getting this economy moving again." For now, he refused to concede that the GOP offered Obama a slap after the president's charm offensive But he did say to Republicans: "This can't just be a one-way street. The president has done a lot to reach out." Another White House aide was more candid following the vote: "Ultimately, when we get down to brass tacks of a final package that is going to pass, a lot of these [Republican] members are going to have to decide if they want to vote for something to move their country forward or vote with their leadership." A second White House official went even further: "It's the vote on the conference report that matters," the official said, referring to the final version of the bill that will ultimately land on the president's desk." "They can vote against it the first time to act like fiscal conservatives and then vote for the conference report to brag about what they're getting for their districts," said this source, alluding to a scenario that even some Republicans privately acknowledge is likely among the more politically imperiled members of their conference.